Interstate Batteries, a brand driven by their unique combination of proven experience, integrity and heart, has joined forces with the APC Series to become the presenting sponsor of the June 2nd event at Millgrove, Ontario’s Flamboro Speedway. The event, dubbed the Interstate Batteries 100, is the second of nine events on the 2018 campaign across Ontario, and the first of two stops at the tight bullring. 2017 champion, Brandon Watson, scored the victory in last season’s event while Andy Kamrath earned his first career APC Series victory at the second Flamboro Speedway event in 2017. The annual June event at the facility has been an anchor in the championship battle as each season has seen the eventual champion come out on top including 2016 champion Andrew Gresel and 2015 champion Dale Shaw. Built to top industry standards, Interstate Batteries has been technician’s choice for nine years and counting. Their business is powered by a distributor network of 300 wholesale warehouses and backed up by more than 200,000 dealers around the world as well as 200 All Battery Center franchise stores. 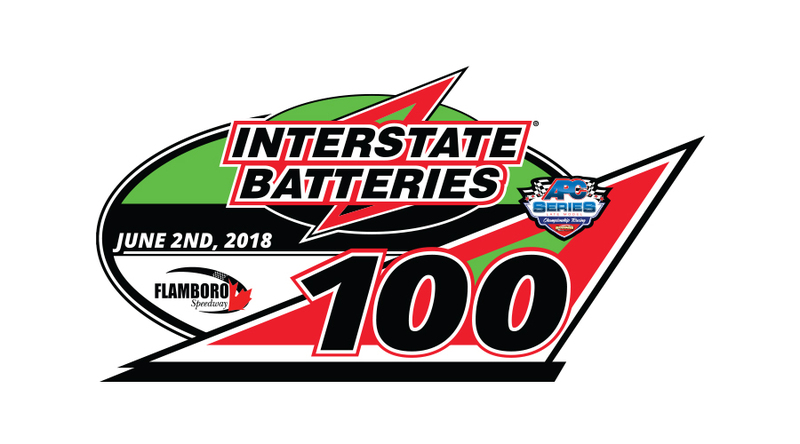 APC Series officials are excited to have an industry leader joining an already stellar lineup of partners and have the Interstate Batteries name and logo proudly displayed on the June 2nd Flamboro Speedway event.